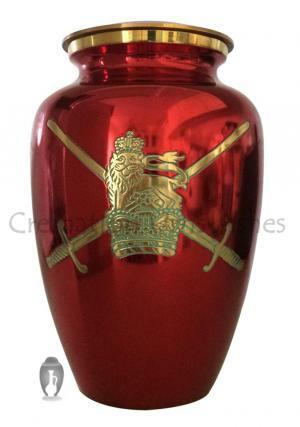 Big Size UK Military Symbol Red Adult Memorial Urn Ashes |Free Shipping. 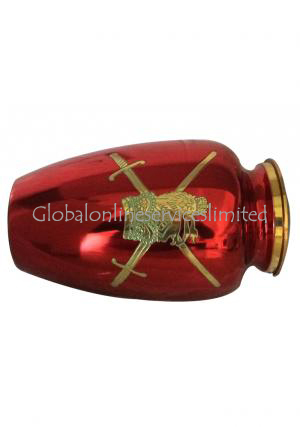 » Size (Inches): Height - 10"
The military symbol red cremation adult urn is made with high quality solid brass. 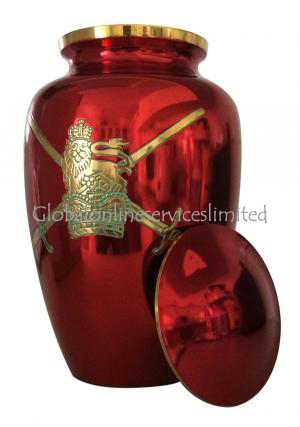 This legend memorial brass urn is suitable for storing the cremation ashes of military or British army people who expired. This elegant cremation urn is hand casted by top professional skilled artisans. How to fill the cremation ashes in this large daisy urn? Take some amount of cremation ashes and fill through top of the screw thread on lid and close with the cap. It will keeps the ashes safely and alive your loved ones memories with you. 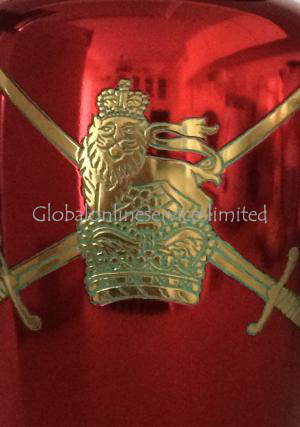 This graceful and refined funeral cremation brass urn is finished with British army flag on red color brass urn. 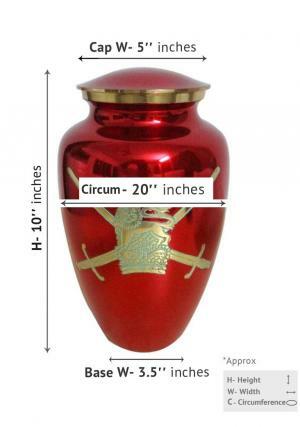 The unique urn is available online at the dimension of 10" inches height and weight 2.1 Kg. Buy now online with our secured payment gateway and get free delivery within UK.